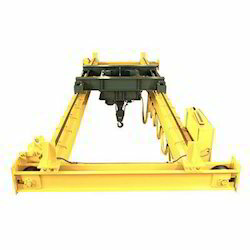 Designed in adherence with international standards and norms, we offer premium quality Jib Crane. Manufactured using high-grade raw material, these cranes are known for their strong construction, durability and high performance. 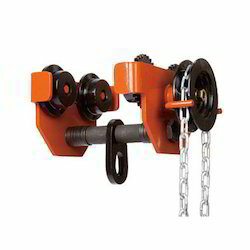 Owing to all these features, these cranes are widely used in different industries for loading and unloading material. 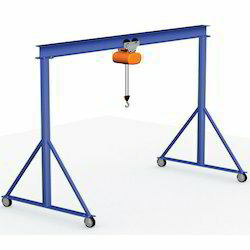 Moreover, clients can avail these cranes in length x width x height as per their requirement. 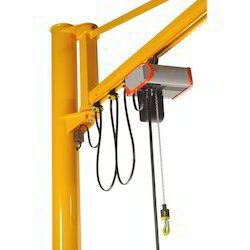 We are offering Fixed Height Portable Gantry. We are offering Double Girder Crane. 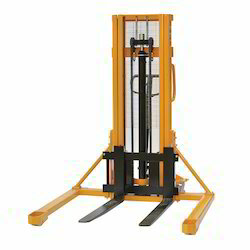 We are offering Industrial Stackers. Fixed weld meshes guarding fitted as standard. Steel straddle rollers 75 mm die with the roller bearing. 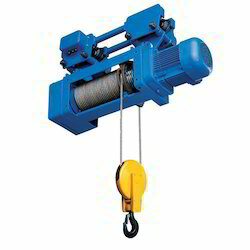 We are offering Electric Wire Rope Hoist. We are offering Geared Traveling Trolley.